In California, “Under the Influence of a Controlled Substance” is charged under Health and Safety Code 11550(a) hs. It is a misdemeanor offense but can carry severe consequences, including potential jail time. However, this offense can a number of defenses and in most instances, the police officers tend to substantially exaggerate your behavior to justify your arrest. When arrested for this offense, it’s in your best interest to consult with an experienced Orange County Drug Crimes Lawyer at the cases earliest juncture. You may find the following article helpful as it will explain 8 important things you should know about charges of bring under the influence of a controlled substance. 1. What is the Legal Definition of Under the Influence? 2. What Must the Prosecutor Prove for Under the Influence? 2. You were willfully and unlawfully under the influence of a controlled substance when you were arrested. 3. What are the Legal Defenses? Willful Use: The government must prove that you acted willfully when ingesting a substance. In other words, if you didn’t know that you ingested a controlled substance, then you are not guilty of this offense. For example, you finished a drink at a bar and unknown to you, someone placed ecstasy into your drink. Controlled Substance: The substance you ingested must be a recognized controlled substance. If the substance you ingested is not an illicit drug, then you cannot be found guilty of this offense. Additionally, you could have ingested a legal substance but due to the ingredients, it made you fidgety appearing to a police officer as if you’re under the influence of an illegal drug. Short Period of Time: This is usually an arguable point in the case. The government must prove you ingested an illegal drug within a short period of time. However, the law recognizes that if you ingested a drug 24 to 48 hours prior to your arrest, then that could fall within the legal purview of “short period of time.” It’s always in your best interest to not reveal any details to a police officer as that’s how the government normally proves this element – i.e., your incriminating statements. Under the Influence: You must legally feeling the effects of the substance in order to be “under the influence.” In other words, “someone is under the influence of a controlled substance if that person has taken or used a controlled substance that has appreciably affected the person’s nervous system, brain, or muscles or has created in the person a detectable abnormal mental or physical condition.” The government normally circumstantially proves you were under the influence based on the officer’s physical observations of your impairment. Valid Prescription: The valid prescription defense means that you held a prescription to consume a substance previously issued by a licensed physician. Illegal Seizure: In order to detain you, police officers must be armed with reasonable suspicion that you are committing a public offense. If the judge determines that you detention was illegal under the Fourth Amendment, then the police officer’s observations and your admissions will be suppressed. In that instance, the government will be unable to proceed with their case against you. Miranda Violation: If you were arrested or detained, then you may have given incriminating statements to the police which warranted your arrest. For instance, “I ingested cocaine 2 hours ago.” If you were subject to custodian interrogation by law enforcement, then the law requires they admonish you of your Miranda rights. Failure to do so will result in the suppression of your statements – i.e., deeming your statements inadmissible in court. 4. What is the Punishment? 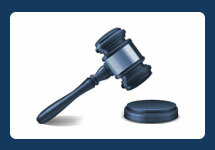 The punishment for HS 11550 will depend on your prior criminal history. Although this offense is a misdemeanor, it carries up to 1 year in the county jail. If you suffer from a prior conviction for this offense, and you’re subsequently convicted a second time within 7 years, then you face a mandatory minimum of 6 months in the county jail. If this was your first offense, or you’re determined / approved to be eligible, you may be able to withhold adjudication of the proceedings under Deferred Entry Judgment (“DEJ”), also known as formal diversion. This occurs when you enter a plea but formal sentencing is suspended for a period of 12 to 18 months. As a condition of your diversion, you will be ordered to complete substance abuse counseling. Upon successful completion and expiration of the 12 or 18 month period, the court will dismiss the case. Failure to complete diversion will result in a formal sentence and thus convicted of a drug crime. New revisions in the law now allow certain drug offenders to participant in pretrial diversion which will not require a guilty or no contest plea. Contact us today to discuss your eligibility. 5. What are Examples of being Under the Influence? If you suffer from a conviction for being under the influence of a controlled substance, then you may be eligible to expunge your record after successful completion of your probation period. PC 1203.4 governs the expungement statute and if the court grants your expungement petition, the conviction will then be dismissed. From that moment forward, you will be released from all penalties and disabilities resulting from your conviction. This remedy is common among those seeking employment in the private sector. 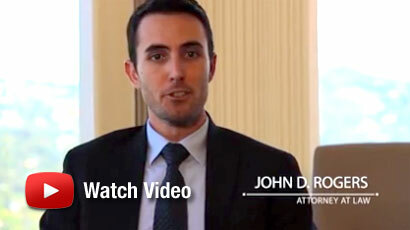 For more information about expunging your record, contact the Law Offices of John D. Rogers. 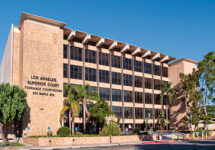 If you’ve been arrested or charged with being under the influence of a controlled substance under HS 11550, then contact a reputable Orange County criminal defense attorney at the Law Offices of John D. Rogers to schedule a free confidential consultation concerning your rights and defenses. In California, Depriving of Child Custody or Visitation is also known as “child abduction” and it’s charged by the prosecution under Penal Code 278.5(a) pc….